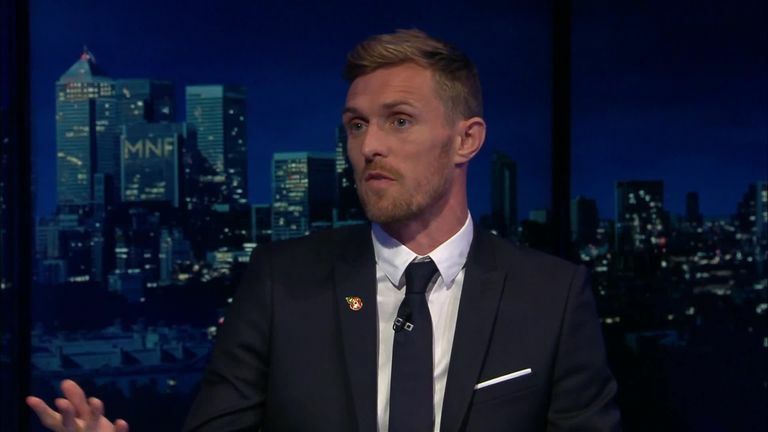 Darren Fletcher shared insights from his career on Monday Night Football, discussing Cristiano Ronaldo, Wayne Rooney and more. The Scotland international and current Stoke City player also spoke about whether he had Manchester United regrets, his battle with illness and much more. Read on for some of the highlights from Fletcher's MNF appearance. He had a calmness about him. He believed in his team and gives confidence to his players. There were different levels to Sir Alex Ferguson's team talks. There were ones for the games he expected us to win when he just questioned us on desire and work rate. There were other times when there was a tactical element. He was a master of spotting small details in games. I always used to watch him when he was on the bench. He studied the game and nine times out of 10 he came in at half-time and pinpointed one or two weaknesses in the opposition which ultimately helped us go on to win matches. I could speak about him all day, he was a genius. I owe everything to Sir Alex Ferguson. He had a mindset that he was going to be the best player in the world from the day when he came into the club. He took training to another level. At first, people loved the desire but he did get stick for it with people saying: "It's easier said than done." But people respected it and liked that mentality of wanting to be the best. There were times when he was putting ankle weights on for training and doing fast feet. The lads were laughing at him but he didn't care and it didn't deter him. Ultimately people respected it. The lads saw it as a bit of banter but deep down they respect that work rate, that desire and that sheer determination to be the best player in the world, and he went on to achieve it. Roy Keane was wonderful with me. He was the ultimate captain. He was somebody who helped me more than anyone in the dressing room and gave me confidence and believed in me. He challenged me at times because he probably wanted more from me and knew I was capable of doing it. Keane was fantastic with me, believed in me and helped me a lot. He praised me constantly and people don't see it. The stories about Roy Keane are the ones where he hammers people because those are the ones people refer to - no one wants to talk about Roy Keane being nice, do they? Wayne was fantastic. We were two of the youngest in the dressing room and we built up a good relationship very early. There were a lot of experienced winners in the dressing room and me and Wayne were close in age with similar backgrounds and we just got on and clicked. You could tell Wayne was going to go on and be a Manchester United great. The only worry was would a Real Madrid or someone like that come in for him, because that was quite possible. 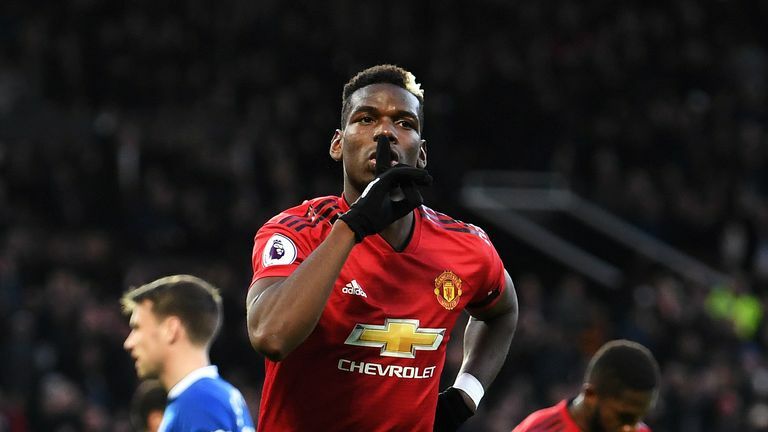 But there was no doubt that he was going to go on and win everything, go on and be club captain and end up England and Manchester United's leading goal scorer - what an achievement. I don't think he gets the appreciation he deserves. Still, people don't realise how good Wayne Rooney was, and always was, at Manchester United. And again, he was a team player. He sacrificed himself at times for the good of the team. Going back to the Arsenal invincibles, I thought they were fantastic. Jose Mourinho's first Chelsea team were very powerful and strong. They were physically tough. They were two of the best teams I came up against in the Premier League. No, I was ready for it. I'd had my spell out through illness and I'd come back. I didn't quite feel the same. First and foremost I got back to playing for Manchester United but the club had changed. We'd had David Moyes and we had Louis van Gaal. I was out of the team under Van Gaal. I wasn't particularly enjoying it although I did learn a lot from Van Gaal, who is a fantastic manager. However, I was ready for a change. I wanted to play week in, week out because I'd not played for a long time. I was ready for a new challenge. At first, you're a little bit blasé about it. You don't really respect the illness or do enough research or talk about the implications it can have. I thought I could take some tablets and it would go away. Eventually, I found it out it can get more serious which it did for me. It got to the point where I couldn't control it. We tried a number of things, we tried meditation, alternative medicines and every available thing possible really but nothing worked. We tried not playing for a while to see if the stress of playing on my body was causing it so eventually I had to go down the surgical route which is a last resort, it's make or break. The success rate isn't high but thankfully, I had a fantastic surgeon and I had a sheer determination that I was going to get back to playing. People told me I wouldn't, but the dream of playing football for me was too big to give up. It's a horrific illness that people don't talk about really because it's to do with going to the toilet but a lot more awareness is being brought on it because of me. The first time I spent out with my illness five or six years ago, I did a spell coaching with the reserve team with Warren Joyce when the reserve team included lots of talented players like Paul Pogba, Jesse Lingard and Ravel Morrison. In that team we played Pogba a lot higher up the pitch and in more advanced, attacking areas whether that be central or wide right or left. We felt like he was the one player in the team that would go and win us games. It was also because of the fact that we thought he had a bit of ill-discipline in the middle of the park as a normal central midfielder. Sir Alex Ferguson probably felt the same. It goes back to a famous game where we feel he left Manchester United off the back of it. We lost to Blackburn 3-2 and all our midfield players were injured. The manager picked Ji-sung Park, Phil Jones and Rafael da Silva and Paul was on the bench. At that time we didn't feel like he was disciplined enough for the reserve team to be playing in the middle of the park so to then jump to be playing in the first team in an important game was a big step. It's something that sticks with me. I managed to be on the bench twice for Champions League finals. I've played in semi-finals but I've not managed to get on the pitch in a Champions League final. It was taken away from me with a red card which people still remember to this day. There were talks of appeals and things like that. It was never a red card. The best thing I did was speak to my dad straight after the game and he told me to forget about it and concentrate. We still had to win the league for Manchester United. However, it definitely gave me a burning desire the next season and my form kept on improving at that point, but it was with a heart and a desire to get back there with the team and get on the pitch myself. I enjoyed every minute of it. I didn't achieve what I wanted to do, which was qualify for a major tournament. I wanted 100 caps. I was desperate to get 100 caps. I didn't want to beat Kenny Dalglish (102 caps) but I would have settled for 100 caps but the illness and different things came in the way of that. I take pride in representing my country. I always went and never pulled out. I had big games for Manchester United and I could have saved myself in friendly matches. Whenever I was fit I went to play for Scotland and I enjoyed every minute of it. I took pride in captaining the country, helping the team and giving everything. Ultimately it didn't happen and I'm disappointed by that, but I'm still a Scotland fan now. I've not officially retired yet so you never know!